Consisting of two, three and four bedroom super luxury apartments, this nineteen storey building would be the only one of its kind. Located in the heart of the city at Vazhuthacaud, Artech City Meenakshi is close and well connected to the pivotal points in the city yet appropriately disconnected from its hustle and bustle. 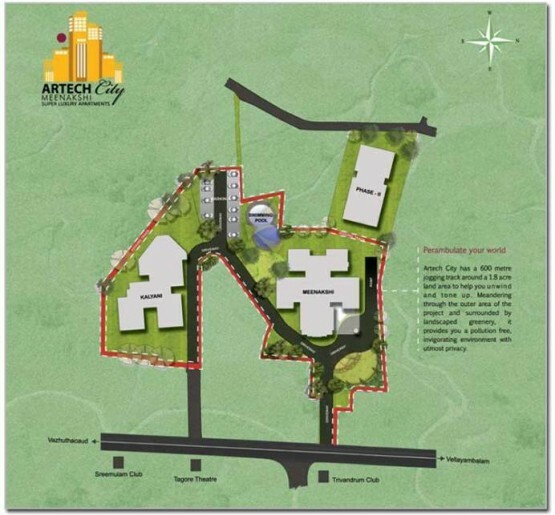 Endowed with world class amenities, Artech City is bound to be a prized address to posses. R.C.C framed Structure designed for higher seismic consideration with pile foundation. Living/Dining/lobby – Premium quality imported vitrified slabs 1m x 1m. Bedrooms – Premium quality vitrified tiles 60cm x 60cm. Kitchen – Grade five ceramic tiles. Toilet – Anti skid ceramic tiles. Superior quality granite counter, Double bowl stainless steel sink with single drain board, single bowl stainless steel sink in work area, above counter ceramic tiles up to ceiling height, provision for water purifier. Elegant teak wood entrance door, moulded or flush internal doors with hardwood frames and architrave, imported hardware and number lock system, powder coated aluminum heavy duty four-track sliding window with mosquito net, M.S. grill and glazed sliding doors for balconies. Polished front doors and internal doors, double coat plastic emulsion over double coats putty for entire wall except toilets, double coats emulsion for ceiling, two coats enamel paint for grills, toilet walls ceramic tiles up to ceiling height. Concealed wiring with superior quality PVC insulated copper cables and Clipsal neo c-metro equivalent modular type switches, adequate light & fan points, four 16A power plug points controlled by ELCB & MCB, independent energy meter for each apartment, provision for geyser connection in all attached toilets, provision for washing machine in work area and provision for Internet connection in any one bedroom. 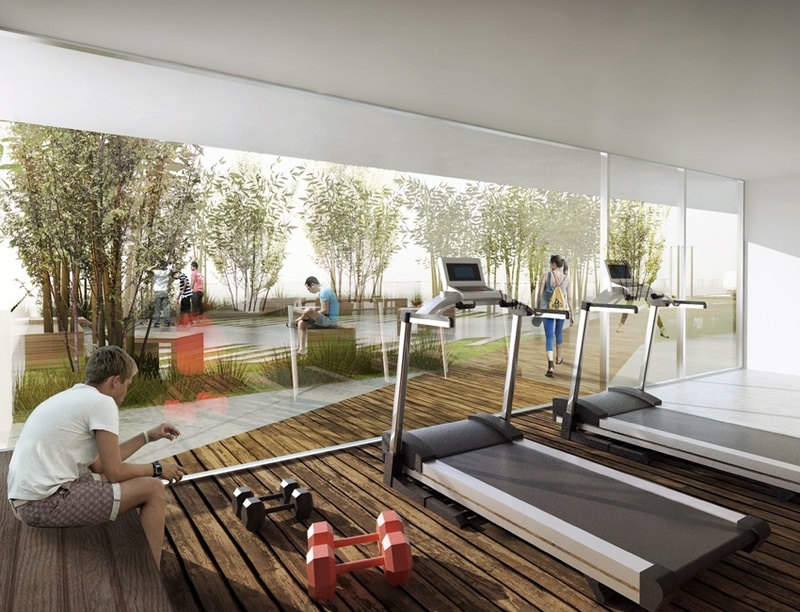 Split A/C provision including cabling for all bedrooms and living and dining. American Standard or equivalent sanitary wares, imported concealed cistern in all attached toilets, jaquar or equivalent brand premium quality C.P fittings and Jaquar or equivalent make divertors for master toilet. Water supply through underground sump tank and overhead tank with sufficient storage capacity, treated drinking water with reverse osmosis process. CC TV – for podium parking and entrance lobby at G.Floor, boom barriers at entry / exit of the complex and at entry / exit of the podiums.